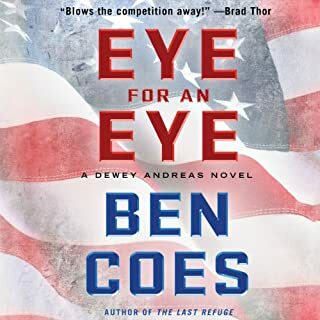 In Ben Coes' latest, Eye for an Eye, Dewey Andreas faces the toughest odds of his life as one of China's most powerful men has decided to do whatever he must to take down Dewey - and inflicts a horrifying loss. Andreas - former Army Ranger and Delta - is a man of great skills and cunning. His opponent, Fao Bhang, is ruthless, determined, and with no limit to the assets at his disposal. In this conflict, there are only two possible outcomes. And only one Dewey Andreas. Court Gentry was the CIA's best agent. Until the day the agency turned against him and put out a kill-on-sight order. That's when the enigmatic international assassin called the Gray Man was born - and Court has been working for himself ever since. Now Court is back in Washington, looking for answers. He's determined to find out what happened all those years ago that made the agency turn against him. On his list to interrogate are his former partners and the men who sent him on his last mission. What he doesn't realize is that the questions that arose from that mission are still reverberating in the US intelligence community, and he's stumbled onto a secret that powerful people want kept under wraps. And now they have Court in their crosshairs. Court Gentry is used to having people on his trail, but this time it's on US soil - the last place he wants to be. Now he'll have to find the answers to his fate while evading capture...and avoiding death. 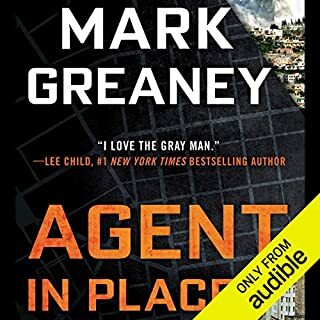 ©2016 Mark Strode Greaney (P)2016 Audible, Inc.
To begin with Jay Snyder did a fantastic job as always. I won't restate the synopsis since you don't need a review for that. I thought this book was Excellent. 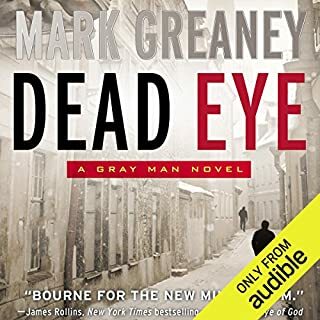 I wasn't sure if Mark Greaney would be able to top his last book "Dead Eye" but this one is just as good if not better. I read someone's review on Amazon and was so surprised to see they had written that some of the stunts were unrealistic and out there. Well, the stunts in this book are pretty wild but if you are a fan of this series, think back to the first book when he is given a blood transfusion while driving a car, beats 4 men in hand to hand and goes on to save the day and while laying on the driveway bleeding out he's offered a job! This book has some out there moments but that goes to making it more exciting. As the story goes, there were some touching moments, Court sees his father for the first time in 20 years. They don't get to speak but I can see this developed in future books. Also, Court's background and teen years are filled in some. There were some real surprises also. Lots of twists, deciet and back stabbing. But some friendships are renewed. I think Court ends up on top in this book and Murphy takes a shot at others. The biggest shock is finally learning the truth about why this is a Shoot on Sight order. I was very impressed with this book and can't wait for the next. Please don't make us wait 3 more years! If you find this review helpful please indicate so. Excellent next step in this series. I've loved this series from the first one to the last. No wonder the Clancy people picked this author up. 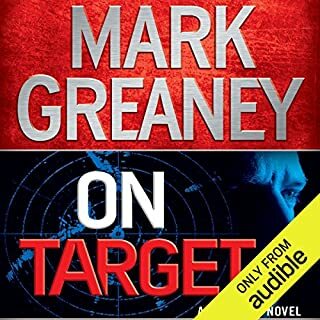 Back Blast solidifies Mark Greaney's position is the best writer of espionage thrillers living today! 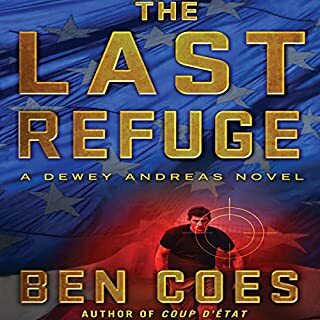 The competition is strong from Brad Thor, Ben Coes, Brad Taylor, Daniel Silva, Brett Battles, Dalton Fury, Nelson DeMille, Tom Wood, Alex Berenson, and others. 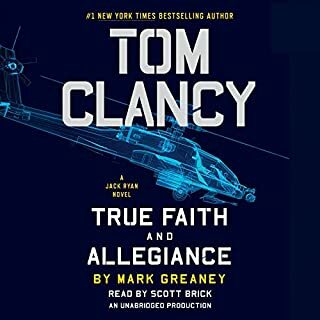 I first noticed Greaney when he started co-authoring Tom Clancy's Jack Ryan series and the quality of Clancy's books improved. 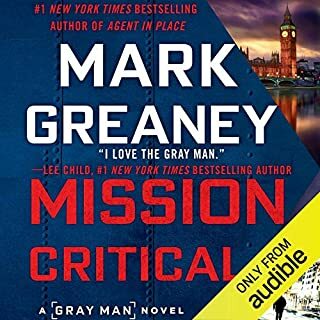 The Gray Man/Court Gentry novels and Greaney's continuing to write the Jack Ryan series after Clancy's death have been consistently outstanding. 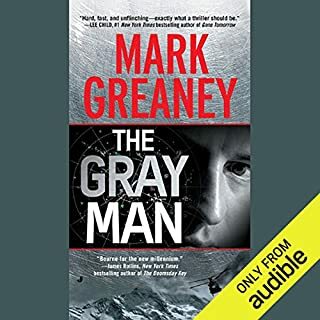 In my opinion Greaney is at the level of Vince Flynn who tragically died in 2013. In Back Blast Court Gentry after 5 years is tired of running from the the CIA kill order that he does not understand, so he goes to Washington DC to find the reason. The novel unfolds from there. There is constant suspense and action. 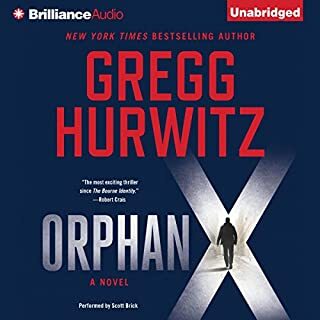 The audio novel is 18 hours long but as the end approached I found I wanted it to continue. Jay Snyder narrates. He is one of the best and he does not disappoint. Would you consider the audio edition of Back Blast to be better than the print version? I held my breath many times. It was awesome! 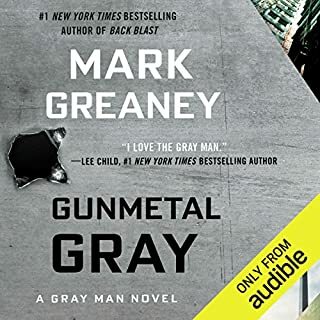 Mark Greaney is the number one New York Times Best-selling coauthor of the Tom Clancy’s Jack Ryan series and he just released book number 5 of his critically acclaimed Gray Man novels. 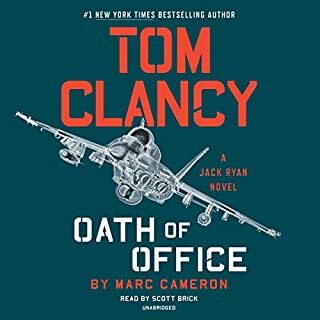 Let me say this from the start, I’ve listened to all the audio versions of the books written by Mr. Greaney and I enjoyed them all, and my review for the latest Jack Ryan Novel, Tom Clancy Commander-in-Chief, which was released in December, 2015, can be found on my blog. The Gray Man novels follow Court Gentry, a Black Ops, paramilitary officer that previously worked for the Central Inteligence Agency and now he finds himself hunted all over the world with a Kill on Sight sanction on his head. You should definitely read the first four books in this series, because each and every one of them is very entertaining and that way you can find out more about our hero, but long story short, in Back Blast, Court is back in the United States to get some answers, to clear his name and to dish out some well deserved punishment to those responsible for the manhunt, and you know what the kicker is? It seems that Court Gentry doesn’t have a clue why everybody wants him dead. 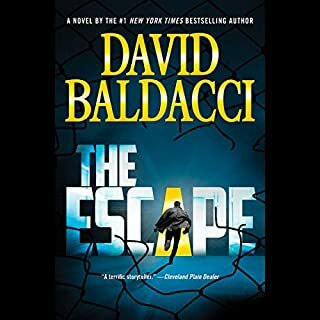 Back Blast opens on full throttle, with one of the main characters, Denney Carmichael, the Director of the National Clandestine Service, being whisked away with much heist to the CIA headquarters by his protective detail, on the clear and present danger that the Gray Man is coming for him. Court Gentry a.k.a the Gray Man, codename Violator has just arrived in Washington D.C, after 5 years outside the Continental United States and although he is gunning for Carmichael, at this point he has no weapons or the necessary resources to mount that kind of operation. 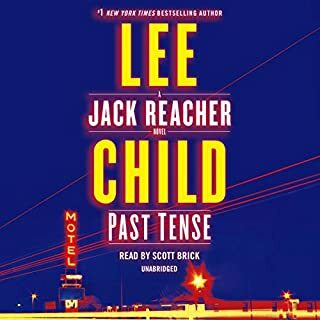 First he has to find himself a gun and some cash… and from that moment on forward all Hell breaks lose and there’s non stop action the entire 18 and a half hours of the audiobook. 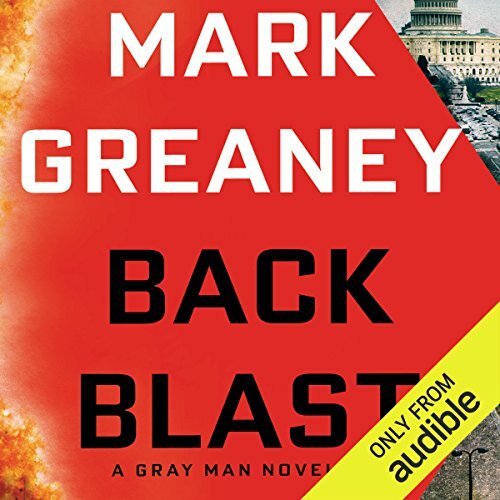 Back Blast is the best book from Mark Greaney and that’s saying something because all his previous works are great! 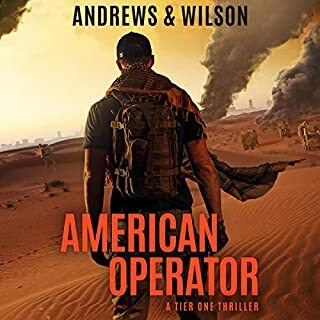 Filled with over the top action and scenarios, espionage, covert operations, double and triple crosses, moral dilemmas, betrayals and incredible gun fights, all driven by a solid narrative and vivid lifelike characters this is a book all Thriller fans should experience for themselves. The audiobook version of Back Blast is performed by Jay Snyder, just like all the other books in this awesome series. He is the perfect narrator to give life to Court Gentry. Jay fills the listener with a sense of urgency and keeps him glued to the earbuds for hours at an end. 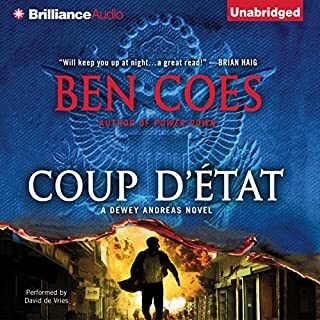 If you choose the audiobook, you will find yourself immersed in Courts adventures, ignoring phone calls, people talking around and with you and forgetting that you still had some work scheduled, at least that was what happened to me in these last 4 days. Jay Snyder handles accents very well, he gives different voices to the characters and keeps it easy for the listener to differentiate between them. You can feel the intensity of the action and you’ll hold your breath many times during the performance. Great job, Jay! Thank you for the entertainment! Forget about Jason Bourne! The Gray Man is here! Trust me when I say that once you start Back Blast, you will not be able to put it down until it ends and after that, you’ll want more books from Mark Greaney. If you like Tom Clancy, Vince Flynn, Nelson Demille and others like them, you’ll love Back Blast! 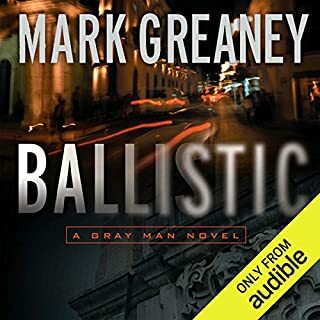 I will adapt a quote from the old Tom Clancy books covers because it fits perfectly for Back Blast: This is Greaney at his best and there is none better! It has been a while since the last Gray Man book, but this was worth the wait. Just fantastic. Court Gentry doesn't know why the term order was given on him, so he has been running for more than 5 years. He wants answers, he doesn't want to hurt anyone, but the bodies keep piling up. And most of them? He didn't kill them. Who is killing the people he needs to talk to? Who is after him? We are allowed to know part of the story right from the start, but not all of it. There are crosses, double crosses, and triple crosses! Surprise after surprise, you can't guess it all. And action? If this were a movie, I would have been out of my seat cheering and jumping up and down. This book makes me want to run and leap, and yell. There are several characters to hug, and some to slap, or as Gentry does, let others kill. It is sad to me that these highly-trained men who often get into this business because of patriotism, then work together as brothers can then turn on and kill each other just because they have orders. I hope that part isn't true. Gentry finally does get it all sorted out, yet still gets the shaft. but if he retired to a farm in Virginia, there would be no more Sierra 6. I am happy that there will be room for a few more Gray Man books. Jay Snyder does a wonderful job reading this book. Congratulations to Mark Greaney! Maybe most of this is unrealistic, but Bruce Willis and James Bond seem to keep us believing, so I am willing to go with the Gray Man. And Court Gentry is a really good guy. The narrator is good . I like he handled the narration. There was too many killings and it seems unreal, but the story flows quite well . The bomb is who handles who. Even the best can be hoodwinked with lies. Mark Greaney knows how to spin a good story. 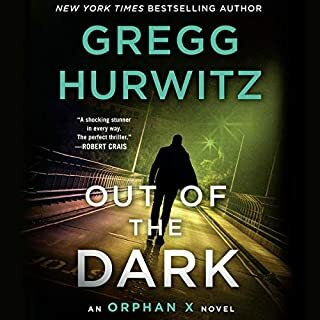 The Grey Man series is top notch and this installment lives up to the task. The pace is rat-a-tat fast. We get a little more character development for Court Gentry, the main character. The violence isn't gratuitous. Everything builds the story. Well done! Court Gentry. A most compelling character who works through some personal challenges while being a total bad a@#. All of Mark's books, both Gray Man and Tom Clancy series, include rich character development, complex plots, and obvious deep research on weapons and geography. Jay Snider must remain the narrator for the Gray Man series, as he has defined and expanded each character within each novel. Neither. It makes me impressed by the author's storytelling skills and the narrator's range of believable character voices. Mark, keep 'em coming! You are my favorite action series author. My wife and I live near Richmond, VA, so hearing you navigate Court through our neck of the woods was very gratifying. This is book five in the Gray Man series. 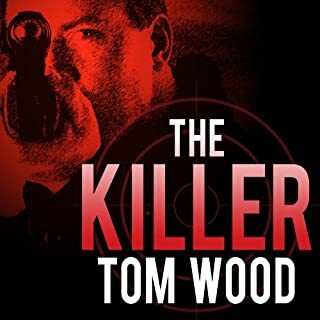 I have enjoyed this series; the action is non-stop and the suspense has me sitting on the edge of my chair. Court Gentry (the grey man) was once the CIA’s best killer spy. There were twenty-five people in the dirty work unit; one by one they were killed now only Gentry is left. For five years he has been hiding, now he decides to come to Washington D.C. to find out why he is on the death list. The top CIA bosses are running for their lives. They set trap after trap for Gentry but he escapes them. Apparently everything goes back to his last assignment code name Back Blast. Will he find out why he is on the death list or do they catch him? You will have to read the book to find out. The book is well written and thoroughly researched. The author traveled to some 15 counties while writing this series to gain authenticity for the book. The book is long 528 pages or about 19 hours, therefore, there is time for a longer story line with more details than in prior books. The characters are interesting and the plot twists and turns with lots of action and suspense. As I was reading the book, I began to wonder if this is the end of the series or will there be a book six. Jay Snyder does an excellent job narrating this series.